The other day, I looked online and saw Aaron playing Mass Effect. When I looked at the details, he was on level 25. At that moment, I thought to myself, holy crapity crap, I am way behind. With haste, I fired up the game and started to play it like a madman. Well, it turns out that all that worry was for nothing, since it was actually Ray playing on Aaron’s account, so I could actually take a relieved breath and move onto something else. Something important. On this very blog, I saw Aaron had started Call of Duty 4 and made some comments about it. I’ve wanted to play the game but the motivation just wasn’t there until then. Aaron made a few comments and I took those to heart when I started to play. He said that the game recommended the Veteran difficulty level for him (the highest) while the game recommended the Medium difficulty for me (the second lowest). Obviously, the game was broken and I choose Veteran difficulty anyway. I also heard that the game was short so I figured this would be a good way to stretch it out. There is a little bit of getting used to the game. Whereas in games such as Halo, you run up close and get personal with the thing you are about to kill, in CoD4, you need to keep your distance and stay in cover. The only issue is that unlike other games of cover, ala Gears of War, Rainbow 6, or Uncharted, there is no cover button. If you want to fire on an enemy, you need to walk sideways out of cover fire a few shots, and get back under cover. At first, the game’s difficulty wasn’t too bad and I was cursing through. I think that the presentation of the game was excellent. I mean really top notch. I would say that I enjoyed the cut scenes and dialogue the npcs had in CoD4 more than any other game. It was good. Then I hit a snag. I was on a mission where I had to assault a room full of tvs (and bad guys). The game went from “I’m making progress” to “Why am I still fighting these exact same people for 4 hours”. There would just be many enemies spawning from random spots, and they all had brilliant aim, could flank me, could see me when I exposed a micron of myself. All in all, computers cheat. And so do I.
I decided to instead of assaulting the room, I would just hide in a separate room. Friendly npcs would keep spawning and running into the tv room of death, but sure enough, every once in a while they would kill a baddie. So as I watched Johnson, Conner, Smith, Jones, Tex, Smith, Brooks all run to their death, I hid and hoped that the game didn’t have a court-martial feature. After enough of my npc friends had gone through the room, I ran in with guns blazing and cleaned up whatever was left. 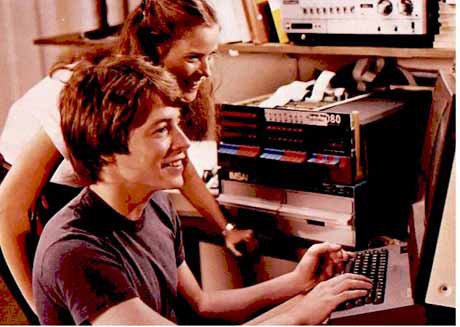 It’s a good thing that the movie War Games taught me that the computer’s worst enemy is the computer. After that mission, the game threw me a gimmie mission where you were in a helicopter and the only way that you could die was if you killed too many civilians. The difficulty ramped up higher in the game and at times, it was no longer fun. Fighting a perfect aiming computer takes away part of the point, and the unavailability of a cover system sure didn’t help. Mass Effect is fantastic. Much more so than any of those other “important” things you have to do. I hit my snag the mission before the airship gun section. With the helicopter providing cover over the barn. The helicopters pathfinding only hid it behind the barn after it’s first swoop. After that it would stay in the open, forever, and just gun you down no matter what. This meant you had about 1 minute to kill everyone in front of the barn, run to the barn and kill the 2 additional spawners, and get inside the barn and kill the 4 guys holed up in there. With pretty much perfect timing, you had about 10 seconds of waiting outside the barn with everyone dead for your ai to catch up. Any longer and the helicopter would come back and shoot you. You also could not wait just inside the barn, and the helicopter would shoot you through the walls. Overall, it took me 45min-1hr to get past this section, alone. After that I saw the next level was the gunship, and knew what you were talking about. Still, though, I think as I get my sea-legs back the difficulty gets a bit easier. Also, I’m surprised the AI strat worked in the tv station. I tried that, but the enemy spawns, too. The only way I stopped them was to run all the way to the other end (along the right side with some well prepped grenades), and run into the room they had spawned from. This caused my AI to run all the way to me, killing everyone in the way, while not allowing the enemy to spawn again. Anything else pretty much met with death. As for my initial impressions, those will get “updated” (DAMN MOTHER@#%$*& HELICOPTER!) with progress reports and a review. Apparently my sanity can be priced at 40G in achievement points per level. I’ve never willingly dealt with such rage-inducing self torture, nor would I under normal circumstances. It’s just that when you do the math, the gamerscore per achievement ratio is way too enticing to pass on. I reached a breaking point about 2 weeks ago though, at the end of the All Ghillied Up mission where you drop your crippled friend off at a “sniping spot” where he is left to fend for himself as you try to do the same. I beat this part the first time around by hiding in a booth near the ferris wheel in a spot where no grenades or bullets could do any damage, but this method doesn’t work quite the same on Veteran. When I do finally get to the point where the helicopter comes to pick me and homeboy up, I’m usually instantly mowed down upon leaving the ticket booth. I’ve since decided to skip that part of the level for now, moving on to other, equally frustrating parts of the game. Like I said, that was about 2 weeks ago, and I haven’t had it in me to go back and try to finish it yet. Any pointers are obviously welcome. Yo dude, you can hide behind a crevaice where you can find the 23rd intel item and nobody will attack you. It’s sick. one shot one kill.